It’s all well and good to want to go to South and South East Asia, but the cost of an airline ticket can set you back well over $1,000 depending on where you’re flying from. 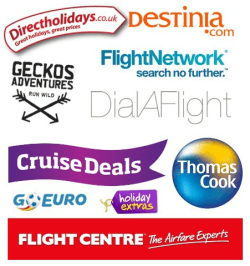 There have been a number of relatively new airlines that have advertised amazingly low rates, which allows you to fly to various destinations throughout Asia for considerably less – and this allows you to have more spending money to explore the cities, such as Singapore, Malaysia, Thailand, The Philippines, and more. Air Asia is proud to offer the widest network as well as some of the lowest fares. They make it possible to pre-book baggage and there are no fuel surcharges on their flights, which can save a few hundred dollars in comparison to some of the larger name airlines that are out there. Tiger Air boasts more than 80 destinations that they fly to. They specialize in a lot of the flights from Singapore to some of the nearby cities, such as Hong Kong and Tai Pei. It’s possible to fly from Singapore to Hong Kong for only $69. Preferred seats, meals, and more are provided with the Tiger Combo, too, which can add to the overall flight experience. Jet Star has quickly become one of the most affordable carriers to get to South Asia, including Singapore. They offer a price beat guarantee where they will beat online prices from another carrier by 10%. This means you can feel confident that you are getting the lowest price around. Fire Fly is based in Malaysia and offers a number of flights in and around Malaysia. They also partner with Citilink for other origin cities throughout Asia, making it possible to get in and around the places you wish to go. Self-check kiosks, rewards, and other benefits are provided, making it easier to get to where you want to go. Malindo Air is based in Malaysia and makes it possible to go to all sorts of locations around the world. They offer a flight that goes from Malaysia to Nepal for only 399 MYR. The airline also boasts large baggage allowances, extra leg room in economy, as well as in-flight entertainment. There are also refreshments provided on board. Cebu Pacific is a relatively new airline and they have done away with fuel surcharges to be able to make the cost of travel more affordable. They offer low fares every day and offer an app to make it easier for people to book. 50% off of Philippine flights and 50% off of international flight are commonly featured on the site. Scoot is based in Singapore and is ideal for when you wish to visit such locations as Australia, China, Hong Kong, Japan, South Korea, Taiwan, and Thailand. The operations of the airline are higher than many others, providing an overall improved experience. On-time performance is at 85% while check-in efficiency performance is at 92.7% – and these statistics are always posted on the website. Mihin Lanka is based in Sri Lanka and provides convenience for flying all over Asia. They do not fly international to such destinations as Europe and the United States, so it would involve an additional flight from another airline. They promote themselves to make it easier on passengers, including booking online and paying cash. Thai Smile Airways offers special fares to and from Thailand. Once you are in one of the Asian countries, flying to and from them is done with ease. You can get some of the best rates directly on the website, and summer is one of the best times to fly with them. Nok Air operates out of Don Mueang International Airport and is constantly promoting low fares. New routes are being added all the time, which allows you to fly to more destinations while continuing to save money. Fly from Ho Chi Minh, Hanoi, Can Tho, and more. Flying from Bangkok to Vietnam is particularly cheap with this airline, allowing you to explore new destinations for less. The airline provides an array of payment methods and offers seat selection. Flight frequency has also been increased and has recently been named as the Best Choice during Smart Travel poll for 2014.